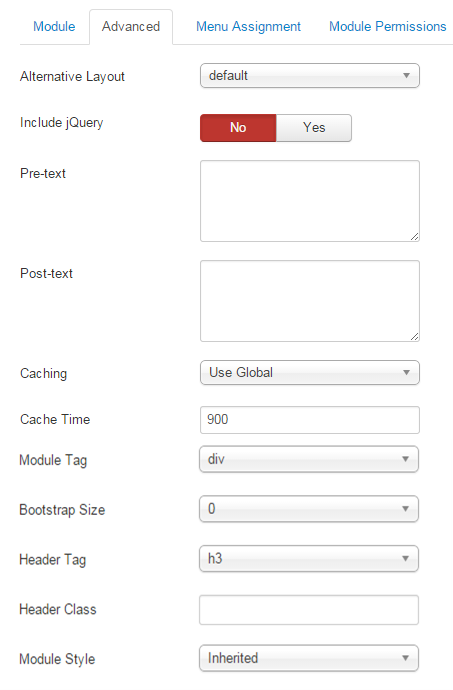 This guide will help you install SJ Categories for VirtueMart step by step. 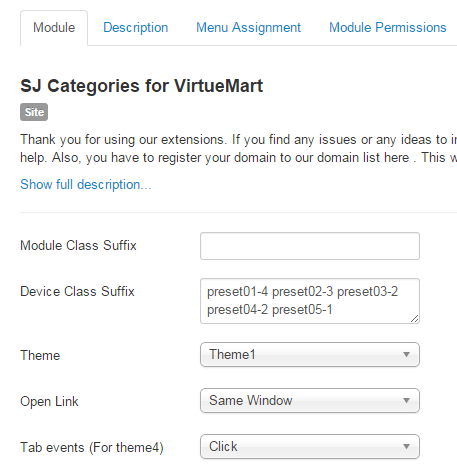 After installing, go to Extensions -> Module Manager and find SJ Categories for VirtueMart to configure. Module Class Suffixt – Allow to input class suffix. Tab event(For theme 4) – We support two events when active on tabs (Click and Hover). 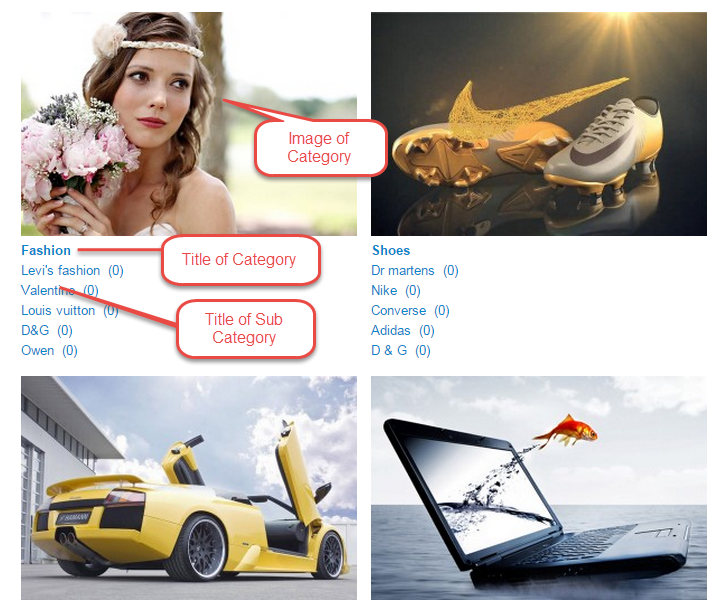 Category – Allow to choose categories which you want to show.. Display Title – Allow to display title of category OR not. Title Max Chars – The maxlength of category’s title. Set “0″ to show full title.. Title Max Chars – The maxlength of sub category’s title. 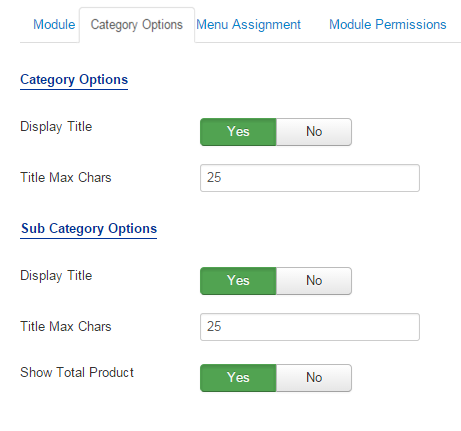 Set “0″ to show full title..
Show Total Product – Allow to show/hide total sub categories of categories. Image Category – Allow to show/hide Image Category. 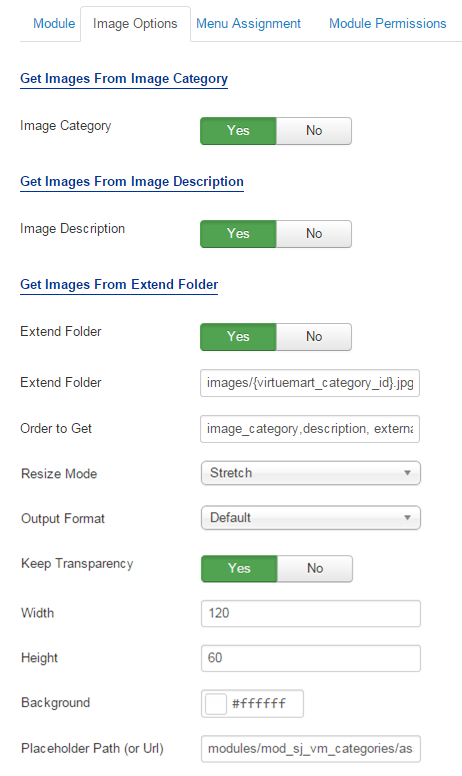 Images Description – Allow to show/hide images from category’s description.